This pub classic gets a frozen and festive makeover with your Margaritaville® Frozen Concoction Maker®. Just add a little ice cream and some fresh-brewed Joe and you're good to go! Add ice to the ice reservoir and all remaining ingredients to the Margaritaville® Frozen Concoction Maker® glass jar. Concoct and pour into glasses. Top with a swirl of whipped cream before enjoying. Refresh on St. Patrick's Day with some Shamrock Punch. Get your St. Patrick's Day party started by concocting a large batch of this crowd-pleasing Shamrock Punch. Add ice to the ice reservoir and all remaining ingredients to the Margaritaville® Frozen Concoction Maker® glass jar. Concoct and pour into glasses; enjoy! Use the Margaritaville® Tahiti™ Frozen Concoction Maker® to assemble this show-stopping frozen concoction that will have your party guests thanking their lucky rainbow! It uses all three glass jars of the Margaritaville® Tahiti™ Frozen Concoction Maker® to create three different colors and flavors of frozen drinks - mix each of them and then pour them on top of each other in one glass to create a magical rainbow effect! Add ice to the ice reservoirs then add the remaining ingredients to each of the three glass jars of the Margaritaville® Tahiti™ Frozen Concoction Maker®, mixing one color frozen concoction in each jar. Flip the switch to mix each of the concoctions. To serve, pour the purple concoction into the glass first, followed by the green concoction and then the red concoction. Enjoy! And what's found at the end of the rainbow? A chest overflowing with coins, of course! Sip this chocolatey frozen concoction inspired by a favorite St. Patrick's Day candy. Add ice to the ice reservoir and all remaining ingredients to the Margaritaville® Frozen Concoction Maker® glass jar. Concoct and pour into glasses. Garnish glasses by making a small cut in the unwrapped chocolate coins and affixing them to the rim of the glass. This refreshing green frozen cocktail is just the thing to make your St. Patrick's Day wishes come true. Add ice to the ice reservoir and all remaining ingredients to the Margaritaville® Frozen Concoction Maker® glass jar. Concoct and pour into glasses. Garnish with fresh mint sprigs and lime wedges before enjoying. A lime sherbet frozen concoction? Yes please! Add ice to the ice reservoir and all remaining ingredients to the Margaritaville® Frozen Concoction Maker® glass jar. Concoct and pour into glasses. Garnish with lime wedges before enjoying. Three cheers for a Luck o' the Irish Margarita! 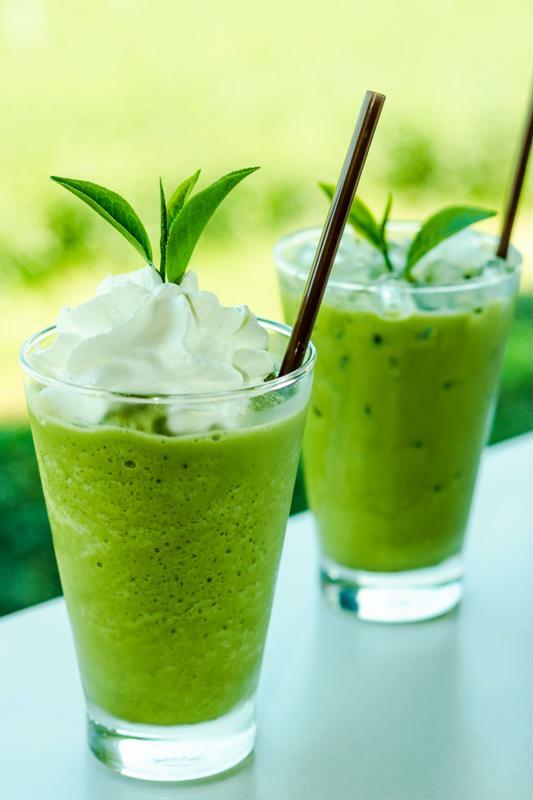 Honeydew melon lends a smooth and refreshing flavor to this tasty green frozen concoction. Add ice to the ice reservoir and all remaining ingredients to the Margaritaville® Frozen Concoction Maker® glass jar. Concoct and pour into glasses. Garnish with honeydew melon cubes before serving. Let the good times roll with a thirst-quenching frozen lime margarita on St. Patrick's Day. Prepare margarita glasses by dipping glass rims in water and then in the salt. Set aside. Add ice to the ice reservoir and all remaining ingredients to the Margaritaville® Frozen Concoction Maker® glass jar. Concoct and pour into prepared glasses. Garnish with lime wedges before enjoying. Raise your glasses and toast to the good times with this sweet and indulgent frozen concoction. Add ice to the ice reservoir and all remaining ingredients to the Margaritaville® Frozen Concoction Maker® glass jar. Concoct and pour into glasses. Garnish with a drizzle of chocolate sauce before enjoying. Sometimes, nothing beats an old classic. 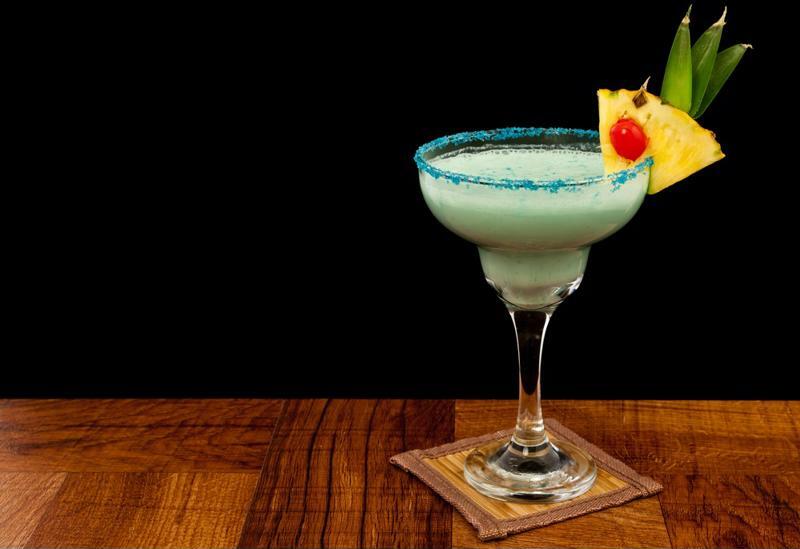 Add some island vibes to your St. Patrick's Day celebrations with this fun and festive piña colada. Add ice to the ice reservoir and all remaining ingredients to the Margaritaville® Frozen Concoction Maker® glass jar. Concoct and pour into glasses. Garnish with pineapple slices before enjoying.